Business Ethics is a Texts and Ideas course available to anyone, but mainly taken by business majors. Collegian file photo. The core curriculum committee announced that individual colleges are not allowed to require students to take specific core courses. With fall 2018 registration underway, students may be aware of what courses count for which core requirements as they make their schedules. However, having some classes that are required for certain majors satisfy core requirements undermined the central purpose of the core curriculum. For example, in a typical Business Ethics course, one can usually find a majority of business students. This is in part due to course themes, but also because it is a requirement for all business majors. However, Business Ethics also satisfies the Text and Ideas core requirement. This issue was brought to the core curriculum committee earlier this year, because the overwhelming business student population contradicts the objective of core courses. James McGrath is Butler’s faculty director of core curriculum and oversees core course development and implementation process. He also serves as an advisor for the core curriculum committee. “The committee felt as though this was simply a clarification, and the rule was already implied,” McGrath said. This committee is involved in policy and approval of courses. They took a look at enrollment in other courses similar to Business Ethics, such as Media Literacy, and found that there was more of a mix of majors. In addition, Business Ethics offers more class sections than any other TI. Maxwell Tucker is a sophomore entrepreneurship and innovation major in the Lacy School of Business. Some students are automatically exempted from certain core courses. For example, sociology majors are exempt from Social World courses because so many required Sociology courses cover material included in typical Social World courses. One of the main goals of Butler’s core curriculum is to give students a broad, well rounded education in addition to their major. It is up to individual colleges to decide what to do in response to this new announcement. Options include requiring business students to take another Text and Ideas course in addition to Business Ethics, or make Business Ethics a non-required elective for business students. 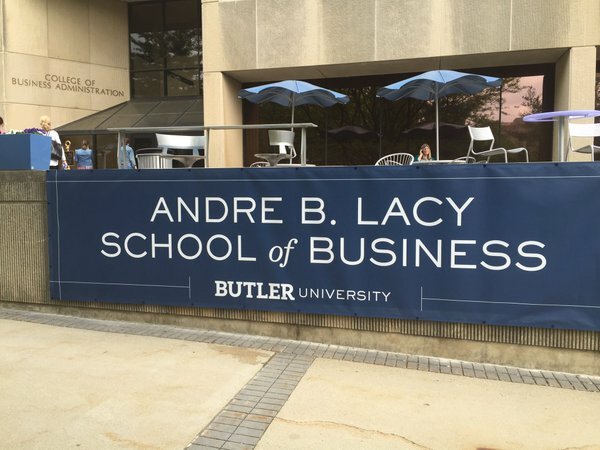 The Lacy School of Business has not made any decisions as to how best to proceed. Deedra Lewis is a first-year strategic communication and journalism major who took Shakespeare for her TI requirement. In addition, one of the main goals of the core curriculum is to gain experience in topics that differ from one’s major. Business Ethics, as a class, examines the conceptual foundations for resolving ethical challenges associated with business activity. Nina Baranyk is a first-year criminology and psychology major, and took The Politics of Alice Walker for a TI. The Business Ethics course will count as a TI for the fall 2018 semester. You can follow Meghan on Twitter @meghan_stratton.